Plants Whitsunday is owned and operated by the Stokes Family. Mark, Jenny, Matt and Julie have owned the business since 2007 and are constantly looking for ways to better serve their customers. The strength of the business is in its people with over 35 passionate and experienced staff within the 5 main areas of the business. Servicing the Whitsunday’s, Mackay, Bowen, Collinsville and the mining districts. Plant’s Whitsunday has a ‘can do’ attitude, with no challenge too great. Below is just a fraction of what we can help you out with. Landscape supplies, tree lopping and coconut de-nutting, hardscaping, garden make overs, wholesale nursery, commercial spraying, paving, garden and lawn maintenance, irrigation design and installation, garden consults, retainer walls, hedging, pruning, fertilising, outdoor living, concreting, fencing, grow on contracts, bobcat and excavator hire, water blasting, gift ideas, horticulture advice, garden edging, pots, indoor plants, grass, outdoor furniture, ornaments, water features, roses, hibiscus, palms the list is endless! Please feel free to call and speak with one of the owners or qualified staff about how we can help with your needs. I just wanted to thank you and your team for the fantastic job done on my back yard. I am so pleased, and my first-time visitors all agree that it is something special. We congratulate you and your team on a job very well done with the Annandale SS playground installation. Everybody is delighted with it and our Principal made special comment of how careful you and your team were with equipment etc. and seeking feedback from the school which was excellent. Their attention to detail and customer service standards are to be commended and we would not hesitate to engage them on future projects. It is a rare talent to provide a service which listens to the clients needs, improves on the vision and delivers in excess of the expectations – awesome! We were thrilled with the finished project. 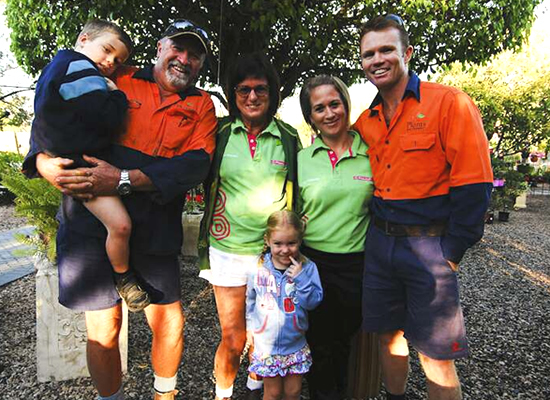 Everyone at Plants Whitsunday have been professional, friendly & helpful. We will not hesitate to recommend you to friends. Thankyou! The quality of work was first rate and met every expectation. Your expertise from large scale landscaping design to the potted plants was exceptional.